You know how it is – you suddenly realise you’ve got a present to wrap for a child’s birthday and you’re out of decent wrapping paper (happens frequently here). 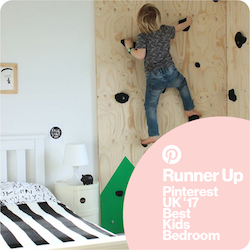 Grab yourself a roll of brown paper (I always have one kicking around), and use one of these simple gift-wrap ideas to come up with a creative solution. Cut out spectacle shapes from coloured card (I actually used my Cricut mini to cut mine). 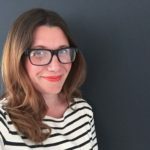 Make a small hole on each side of the glasses and thread a single length of thin elastic (approx 30cm) through each hole. 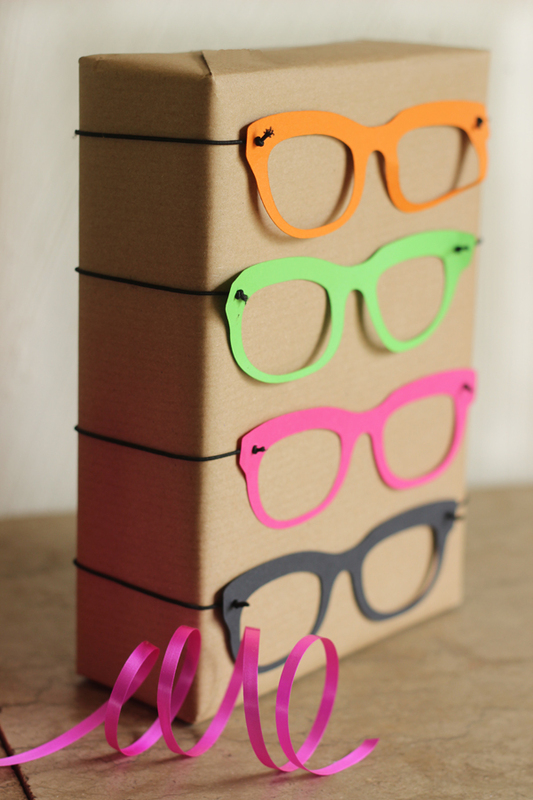 Secure with a knot and stretch the elastic around the box so the glasses sit flat on the front. 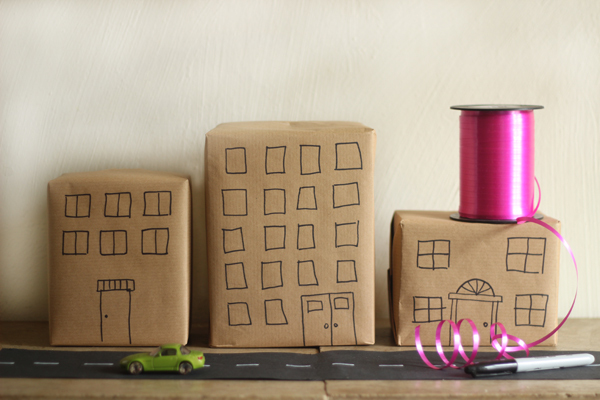 Use a thin black marker pen to draw doors and windows onto your wrapped presents. Cut a length of black paper 15cm wide and as long as your line of presents will be. 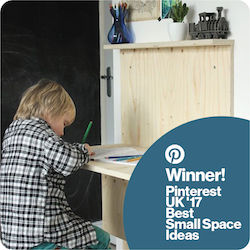 Use white chalk, paint or tip-ex (I used a chalkboard pen) to add the road markings. Lay out the paper road, and line your gifts up along it. Mark out the crack shape with a pencil. Colour the largest sections with a thick black marker pen, and use a thin marker to draw over the smaller cracks. Stick googly eyes in pairs in the largest section of crack. 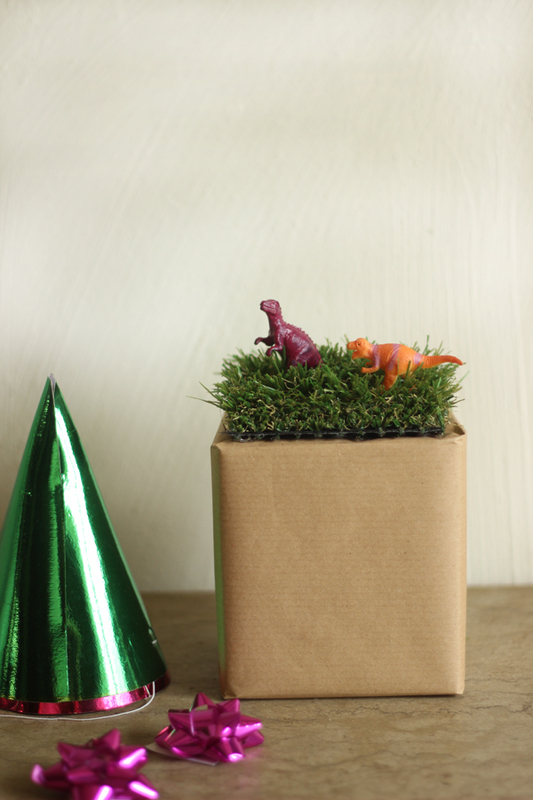 Glue a sample of artificial grass to the top of the box using PVA glue or sticky dots and sit toy dinosaurs on top. Cut out fish shapes and seaweed shapes from paper or card, and stick these to the wrapped gift. 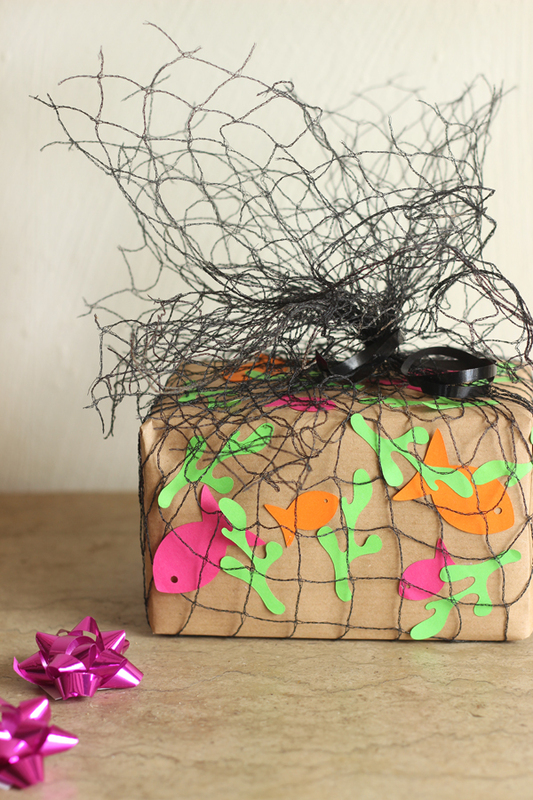 Sit the present on top of a piece of garden netting, and gather it together at the top before securing it with ribbon. Trim the ends of the netting. 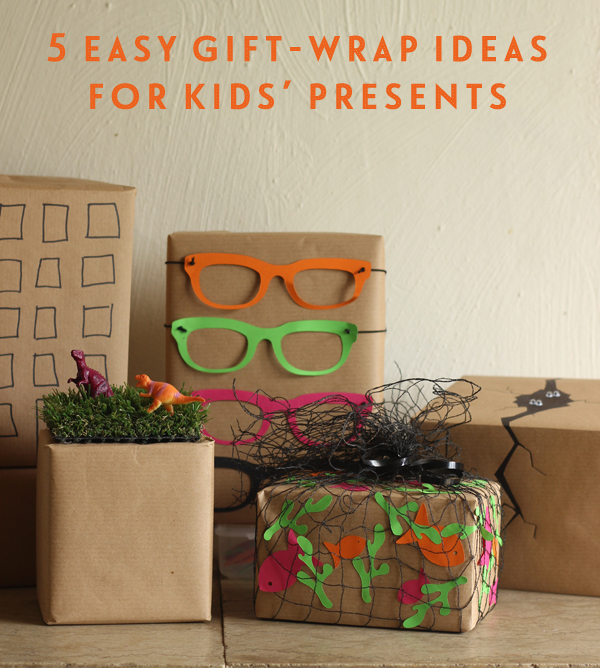 For a festive version of this post – six fun gift-wrap ideas for Christmas – click here! Thankyou – I’m so pleased you like them. These are such fun they made me smile. Thank you for sharing them. Your comment made me smile, so thank you! 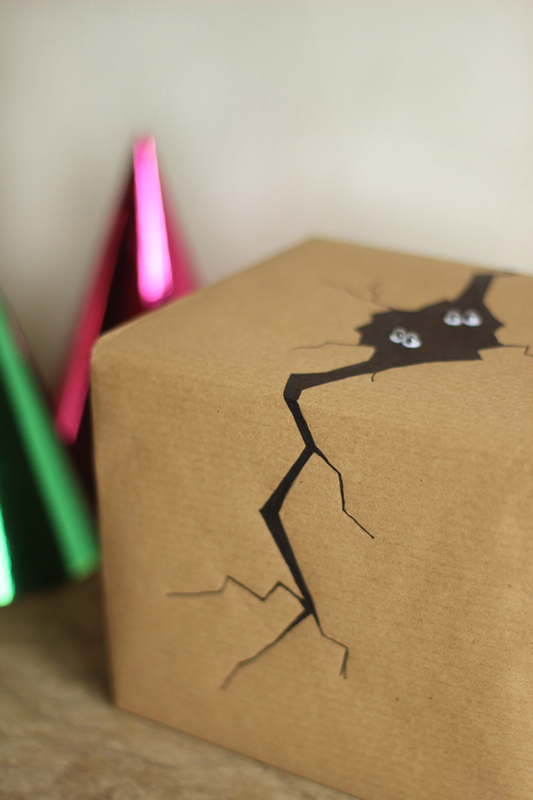 Pingback: 35 Creative Ways To Wrap Birthday Presents! I am impressed from this ideas. I haven’t any word to appreciate this post. Nice ideas. Thanks For sharing.